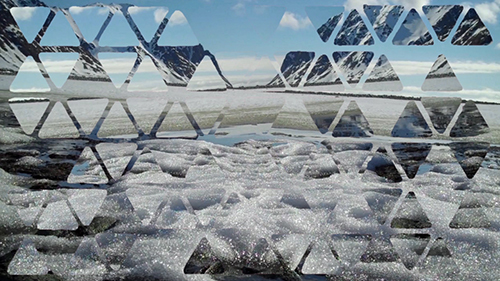 I will be live mixing and re-mixing videos I made from my trip Arctic this Thursday night at apexart. I will be performing with trumpeter Stephanie Richards and artist Steven L. Anderson, who each created beautiful soundtracks for the videos. This is my first live video-mixing performance and is a continuation of my video project “Monotonic Surfaces.” Created while part of of the expeditionary residency The Arctic Circle sailing around the Arctic archipelago Svalbard, the videos of Monotonic Surfaces convey the power and vulnerability of the Arctic landscape and emphasize the ecstatic and transformative potential of the environment. Each of the videos were made in collaboration with musicians and sound artists whose works I brought on the expedition, broadcast and re-recorded on site. The sounds, melodies and tones of each auditory work influenced my videographic choices, both in terms of subject and treatment. Collaborators include Steve Anderson, Stephanie Richards, Tunde Adebimpe, Sandy Gordon, Eric Lindley, Chris Colthart, Todd Carter and Guru Rugu.